Previously only serviced from the European region, SLR’s local team of traffic engineers and transport planners have extensive experience in the planning and design of transport projects for public sector, private and commercial clients. The team have a detailed knowledge of design standards, assessment techniques and procedures relating to transportation planning and have a proven track record in providing prompt strategic level advice with a sound commercial understanding. Transport Engineer Shane Healey has been appointed as Technical Discipline Manager and will be based from the company’s Brisbane Office. “I am excited to establish SLR’s transport advisory services in Asia Pacific and offer new and existing clients a comprehensive technical advisory solution. Our aim is to provide clients strategic support in maximising the benefits and managing the risks associated with investment in transport infrastructure through the provision of innovative expertise in the fields of traffic engineering and transportation planning. Shane is joined in Brisbane by former colleagues Jeff Baczynski, Brett McClurg and Kris Stone who together have an impressive 75 years combined experience. “The addition of our Highways and Transportation Planning team aligns with the company’s strategy of strengthening and diversifying existing services in other geographies. 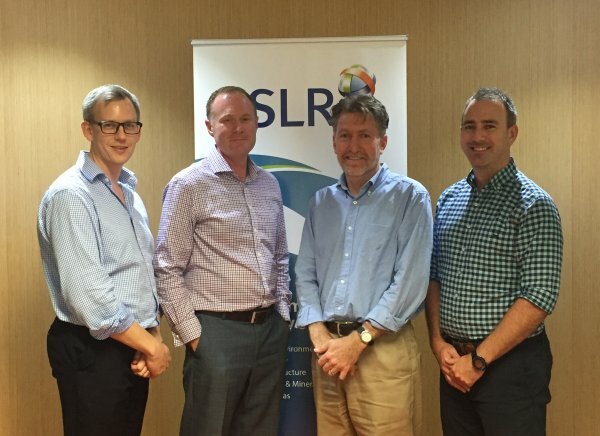 It’s a very exciting time for SLR’s technical growth and we are thrilled to welcome Shane and his team to the APAC operations”. NOTES: Team members pictured above L-R: Jeff Baczynski, Shane Healey, Brett McClurg and Kris Stone.